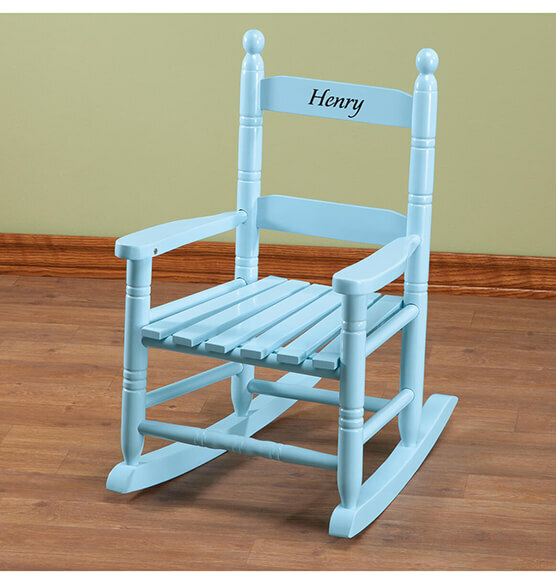 Create seating just for him or her with this classic personalized Blue Kid's Rocker. 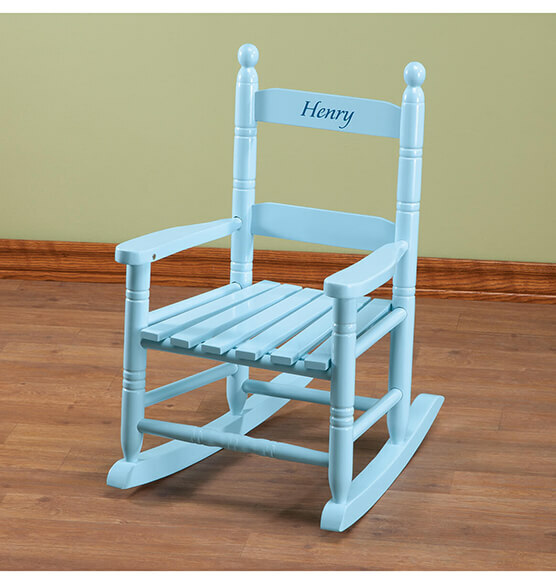 This pint-sized rocking chair has a soft blue color and it's made of hardwood for sturdiness. 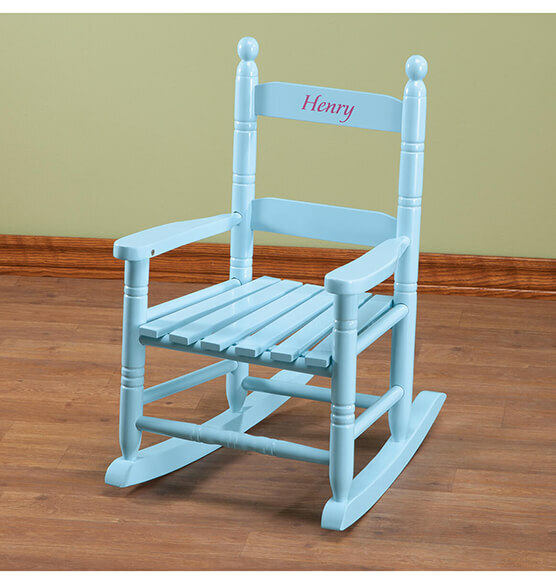 The traditional kids rocking chair design is perfect for relaxing, and you can add a child's first name to the back. Choose font colors of black, blue, red or pink. As you get older and become a grandma and grandpa it is so personable to give the children items that they can forever remember you bye and this is one of those items ?? 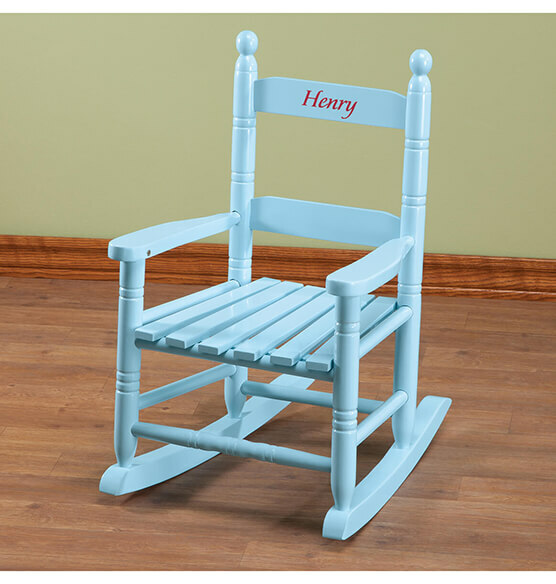 I am a new gramma and I wanted to give my grand babies a gift to remember me by and pass down to their children.